This recipe has a very special place in my heart, because it was created, cooked and photographed by my oh so nice husband Shawn. Didn’t he do a great job!? Luckily I’m not the only one in this house who can cook. These last 2 weeks have been a little nuts between working full time, filming weddings on weekends, changing tenants on our townhouse, blah blah blah. I came home from work, and Shawn had a huge smile on his face. First he told me to come outside to look at the outdoor dining set he picked up for us on Craigslist, which I loved! Then he told me to sit down at it and relax, because he had a little appetizer for us to snack on. He came out with these mustard grilled pineapple chicken wings, a cocktail for each of us, and told me to dig in. They were delicious! Crispy skin, tender meat, and packed with Asian flavors. I’m a lucky lady to have such a thoughtful guy. Was impressed at how well he did styling the pictures, and these pineapple chicken wings he came up with are a great recipe! 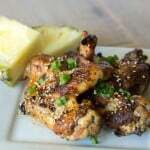 These mustard grilled pineapple chicken wings are seriously delicious. The wings are marinated in stone ground mustard and soy sauce, then grilled on the BBQ until the skin is nice and crispy. 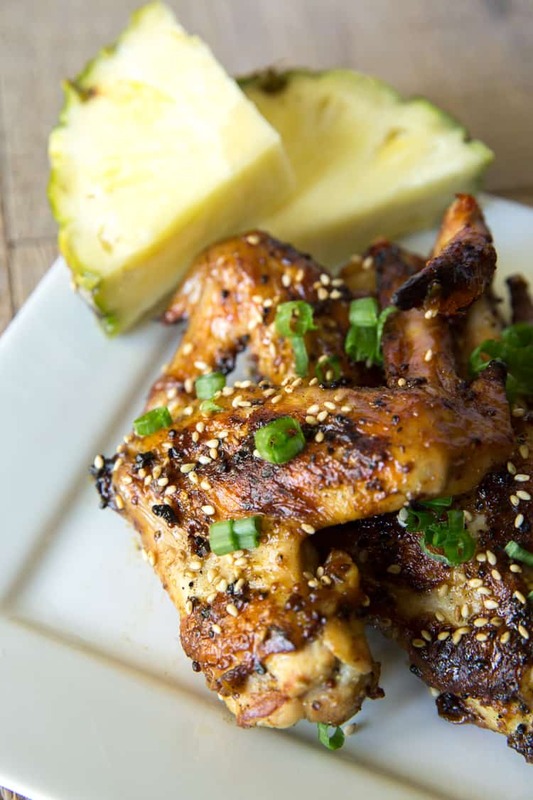 While the wings are grilling, you reduce this delicious pineapple Asian wing sauce. After the chicken wings are cooked thru they’re tossed in the pineapple Asian wing sauce, then topped with green onions and sesame seeds. You won’t need any napkins, because you are going to be licking your fingers clean. Don’t waste 1 drop of this goodness! In a medium size bowl or large ziptop plastic bag, combine the stone ground mustard and soy sauce. Add the chicken wings, and marinate for at least 30 minutes, or up to 1 day. In a medium size sauce pan, make the Asian pineapple wing sauce by combining the pineapple juice, 4 tablespoons soy sauce, garlic and ginger. Simmer over medium heat for about 10 minutes, until the sauce has reduced by half. Pour into a large mixing bowl, and set aside. Preheat your outdoor grill or indoor grill grates over medium high heat, and brush with oil. Remove the chicken wings from the marinade, discard the marinade. Cook the chicken wings over medium high heat for about 8-10 minutes, or until the skin is crispy and golden brown, and the chicken reaches an internal temperature of 165 degrees. 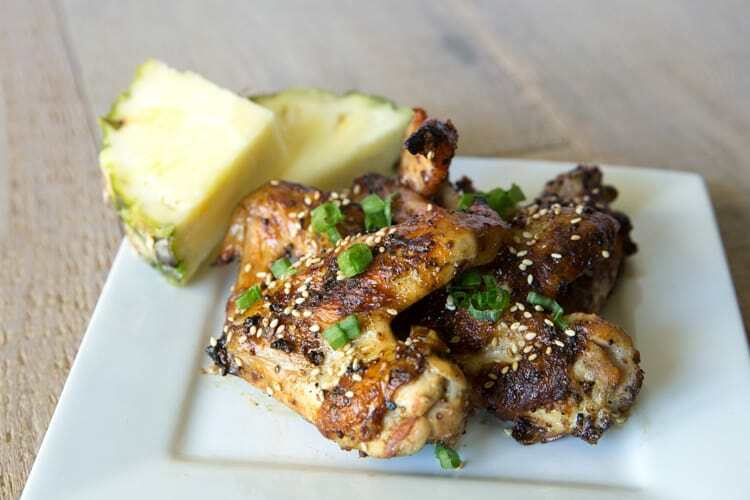 Remove the chicken wings from the grill, toss them in the Asian pineapple wing sauce, top with green onions and sesame seeds, and serve while hot. Leftovers will keep in an airtight container for 5 days. Go, Shawn! That is just totally the sweetest thing ever. He did an AMAZING job with these photos! I love these chicken wings! I’m totally an app kinda girl and I could make a meal outta these! Loving the tropical flavors! Soo summery. :) Pinned! Hi! Now I’m from Buffalo, the wing capital of the world, sort of and have never heard of your mustard/pineapple spin on the chicken wing. It’s not even on the menu’s here! And there’s chicken wings every 10 feet. So intriguing! Looks so yummy. Wow, Shawn is scoring some major hubby points. He might be buttering you up for something. :) I’ve had mango glazed chicken wings once before and loved them. I am pretty sure I am going to love these too. What a nice husband you have, Natalie! And he sounds like a great cook, too! I’m drooling over these chicken wings. Is it bad that I want this for breakfast?! The sauce sounds so delicious, I think I could slurp it from the bowl! What a guy! He did a great job with the photos, these look delicious! Aaw, that was so sweet of Shawn and he totally rocked these wings and the photos :) They totally look lip smackin’ finger licken’ good! I love the pineapple and mustard in here! Yum!! This looks like such a great healthy summer meal! Aw, that is so sweet that he did that for you! And he did a great job with the photos, too (which, I guess isn’t surprising since you both are skilled with the camera, taking wedding pics and all). I love the flavor combos and can’t wait to try this, definitely my kinda food. Hope you get some time to relax this upcoming weekend! These wings look amazing. I am crazy over anything mustard these days, which is sort of ironic since I always told my mom how much I disliked it and didn’t get why she loved it so much when I was younger, haha. They sure look mouthwatering. Mmmmm. I love grilled chicken! This is an interesting twist you put on it! Awww, you have such a great husband!! My husband will make dinner from time to time, but I don’t think he would ever photograph it for me, haha! He did such a great job with both the cooking and photographing! I absolutely love mustard and would love it even more slathered on some grilled chicken! I’m impressed! These look so delicious and he took the pictures! Now if I can just get my husband to do that. Oh how sweet! Those are some pretty snazzy looking wings and I’m not even a big fan of wings! That sauce sounds incredible. He did such a good job! Natalie, these chicken wings are making my mouth drool!! Amazing!! What a super cutie…. Best hubby award goes to Shawn. Do they sell him in bulk? And can I pre-order? Bless him cooking, and looking after you, oh and taking beautiful pictures too. Looks a stella recipe, can’t wait for summer to come round, I really like the fresh pineapple as a side. Delicious. Nice work, Shawn! 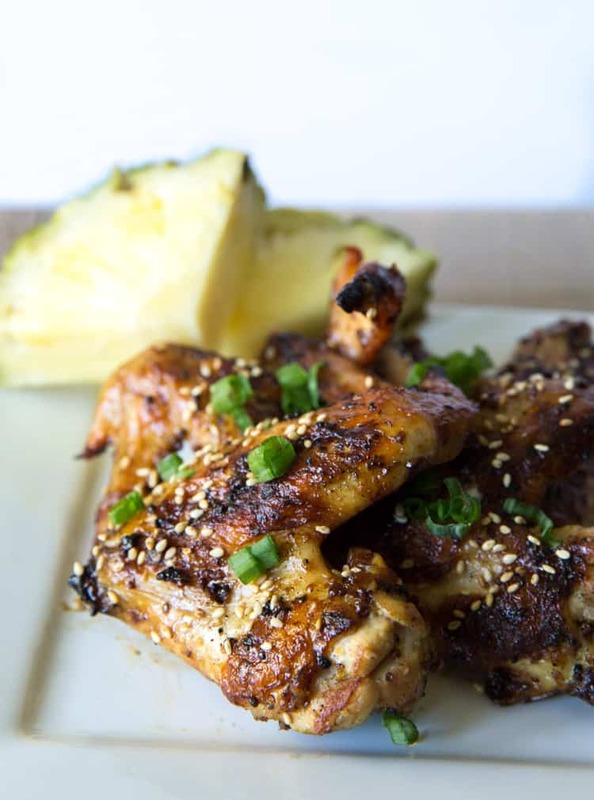 I can’t get enough pineapple, and incorporating it in a wing recipe is a great idea. Love that he created and photographed a recipe for you, Natalie. So cute! Just discovered your blog – love it! So many great recipes. Already pinned 3!! Ok, that is the cutest thing ever!! 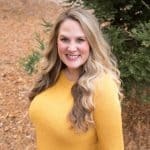 I can relate to be insanely busy and just wanting someone to help with a blog post. Go Shawn! These look so good too. Loving the pineapple addition.